This may be our best-selling Mayana Bar. 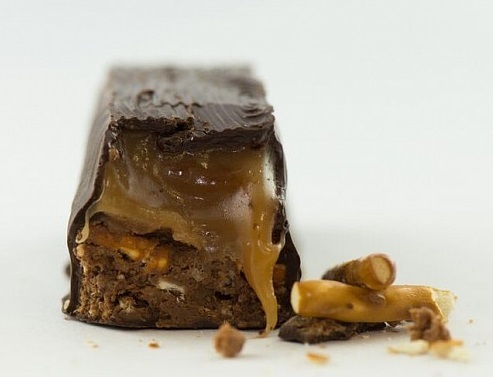 As the name hints, it contains most everything you might want in a candy bar--peanut butter, pretzel, crispy rice, fleur de sel caramel, and of course dark chocolate (66%). We also now have a milk chocolate version.